Rob Portman was elected in 2010, running a campaign that focused on common-sense conservative ideas to help create jobs and get the deficit under control. Rob won with a margin of 57 to 39 percent, winning 82 of Ohio's 88 counties. Rob Portman’s bottom-up approach to poverty, which he calls “constructive conservatism,” attempts to address the links between drug addiction, high imprisonment rates and poverty. 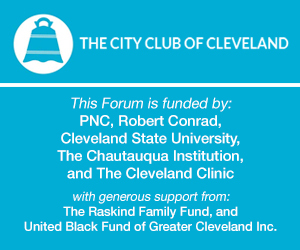 Join Portman at the City Club of Cleveland as he discusses the key elements of this approach.